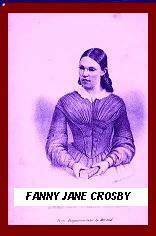 Fanny J Crosby, is my favorite hymn writer. Above is a photo of her in her younger days. She was born on March 24, 1820, Put­nam Coun­ty, New York. Died at the age of 95 on Feb­ru­a­ry 12, 1915, Bridge­port, Con­nec­ti­cut. Before I proceed to write about Fanny Crosby let me define what hymns mean. 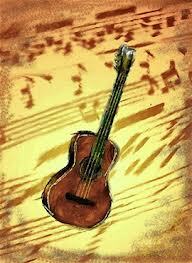 Hymns are a poetic type lyrics used to praise God for who He is and what He has done for us. Christians are encouraged to be filled with the Spirit. How does one get filled? According to God's word, by speaking to one another with psalms, worship and spiritual songs. Singing and making music in your hearts to the Lord and always giving thanks to God the Father for everything in the name of our Lord Jesus Christ and submitting to one another out of REVERENCE FOR CHRIST. 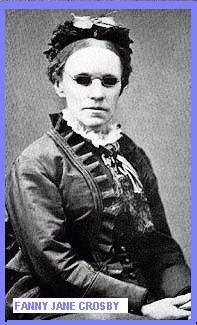 There are many hymnist such as Charles H Gabriel, George Coles Stebbins, John Newton, etc, all deserve recognition for their contribution but I would like to focus on Fanny J Crosby. Fanny the author of Victorian Canticle was a woman of humble origin and blind almost from birth. She was, in her day, considered the greatest hymn writer in America. She reigned as the "Hymn Queen" in New York during the latter nineteenth and early twentieth centuries. Her songs were sung all over the world and are still popular today in many churches. These are some of the lyrics she wrote : Pass Me Not O Gentle Savior, Safe In The Arms Of Jesus, Blessed Assurance, Saved By Grace and All The Way My Savior Leads Me. All her melodies addressed the personal feelings and emotions of the singers expressing the deep longings of the human heart. O what a happy soul am I! Although I cannot see, I am resolved that in this world, contented I will be. Nothing could prevent Fanny from loving her God with all her body, mind, soul and spirit. She expressed her love and devotion through her God given gifts. What an inspiring and remarkable lady! Do you have a disability, feeling downcast, experiencing failure or no sense of direction in life? These are some of the valleys we go through in life. Don't be discouraged. Friend, lift up your eyes to God, for your help comes from the Maker of Heaven and Earth. What He has done for Fanny He can do for you too. You have to invite Him into your life and SEEK HIS WILL DILIGENTLY.